BREWER, Wesley James, 47, of Winchester, died Tuesday, April 9, 2019, at Erlanger Medical Center in Chattanooga. Visitation was held from 5-8 p.m. Friday, April 12, at Moore-Cortner Funeral Home. Funeral services were at 1 p.m. Saturday, April 13, in the Moore-Cortner Chapel. Interment followed at Franklin Memorial Gardens. Moore-Cortner Funeral Home is in charge of arrangements. CUNNINGHAM, Virginia Ellen, 93, of Tullahoma passed this life on Tuesday, April 9, 2019, at NHC Healthcare. Mrs. Cunningham was born in Franklin County to the late Horace and Johnnie Mae Gattis Cunningham. 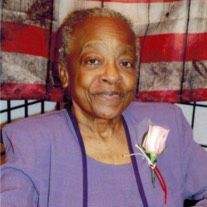 During her life, Mrs. Cunningham was a member of Grundy Street Church of Christ. In addition to her parents, she is preceded in death by her husband, Raymond Cunningham; two sons, Steven Lee Cunningham, and Robert Perry Cunningham; her stepmother, Fannie Wilhoite; and three brothers, Robert Wilhoite, Horace Wilhoite Jr., and Jacob Wilhoite. Mrs. Cunningham is survived by one son, Mike Cunningham and his wife Janie; one sister, Ella Bennett Riddle and her husband R.C. ; four grandchildren, Amy Leigh Cunningham, Raymond Wilson Cunningham and his wife Courtney, Jeffrey Lane Cunningham and his wife Tiffany, and Daniel Todd Cunningham and his wife Jordan; three great-grandchildren, Michael Lambert Cunningham, Harper Kay Cunningham and Caroline Victoria Cunningham; and one daughter-in-law, Anna Marie Head. Visitation for Mrs. Cunningham was held from 11 a.m. to 1 p.m. on Saturday, April 13, at Kilgore Funeral Home. Funeral services immediately followed at 1 p.m. in the Kilgore Funeral Home chapel with Bros. Ben Flatt and Philip Davis officiating. Burial followed at Rose Hill Memorial Gardens. For those who wish, the family asks that donations in Virginia’s memory be made to either the American Cancer Society, PO Box 840692, Dallas, TX 75284-0692; or The Alzheimer’s Association, 4825 Trousdale Dr. Suite 220, Nashville, TN 37220. Kilgore Funeral Home is in charge of arrangements. HAYWORTH, Mary M., 70, of Tullahoma, passed this life on Wednesday, April 10, 2019, at Tennova Healthcare in Shelbyville. No services are scheduled. Mary, a native of Winchester, was the daughter of the late Allen and Alene Green Hayworth. She is survived by children, Travis Hayworth of Enid, Oklahoma, and Tammie Keith (Vertie) of Tullahoma; brothers, Jerry Hayworth (Mary) of Toledo and William Hayworth of Indianapolis; sisters, Deloris Hayworth of Tullahoma and Brenda Hayworth of Toledo; grandchildren, Myohsha Keith, Miciah Jernigan, Matthew and London Hayworth and great grandchildren, Elijiah, Jonovan, D’Kaari and Nshaela Brooks and Ariyah and Ziyanna Hayworth. Daves-Culbertson Funeral Home is in charge of arrangements. An online guestbook is available at www.davesculbertsonfuneralhome.com. KISSLING, Lt. Colonel Lamar Read, 94, of Tullahoma, passed away Thursday, April 11, 2019, at Life Care Center of Tullahoma. Funeral services will be conducted at 11 a.m. on Tuesday April 16, at First Presbyterian Church with Rev. Stephen Yates officiating. Burial will be at 12:30 p.m. Eastern on Wednesday, April 17, at the Chattanooga National Cemetery. Lamar was born in Louisville, Kentucky, to the late Reynold and Elizabeth Kissling in 1924. Following high school, he joined the Army Air Corps as an Aviation Cadet. In 1944, he graduated from the San Antonio Aviation Center as a Pilot and 2nd Lt., but was discharged into the reserves at the end of WWII. He graduated from the University of Kentucky with a degree in Mechanical Engineering in 1949. At UK, he met his wife, Joanna. Lamar was recalled to active duty in 1951 and spent time at Eglin AFB in Florida, Andrews AFB in Maryland and the Pentagon. He served in Vietnam from 1966-67 flying his favorite plane, the C-130 Hercules. Lamar retired from the U.S. Airforce in 1979 as a Lt. Colonel while serving at AEDC in Tullahoma. Post-retirement, Lamar was known as “Mr. Junque” as he helped Joanna run Joanna’s Junque until 1986. Joanna and Lamar have been active members of The First Presbyterian Church since 1972. Lamar always loved being around water - canoeing, water skiing, fishing and playing at the beach and he instilled this love of water into his children. He also enjoyed the large social network of friends that he and Joanna established. Lamar is survived by his loving wife of 70 years, Joanna Kissling, as well as one daughter, Marla Jo Horn (David); one son, Randy Kissling (Mary Tipton); one sister, Betty Jean Boeshel (Jack); four grandchildren, Reynold Kissling, Lowell Kissling, Brandon Horn (Courtney), Chris Horn (Clarice); and two great-grandchildren, Emily and Walter Horn. A special thank you to Life Care Center of Tullahoma for their care and compassion during this time. In lieu of flowers, memorial donations can be made to First Presbyterian Church or your favorite charity. Tullahoma Funeral Home is in charge of arrangements. An online guestbook is available at www.tullahomafuneralhome.com. McCLURE, Glen Avery, 67, of Estill Springs, passed away Thursday, April 11, 2019, at his residence surrounded by his loving family. He was born in Tullahoma on December 9, 1951, to the late J.D. McClure and Opal (Quick) Throneberry. 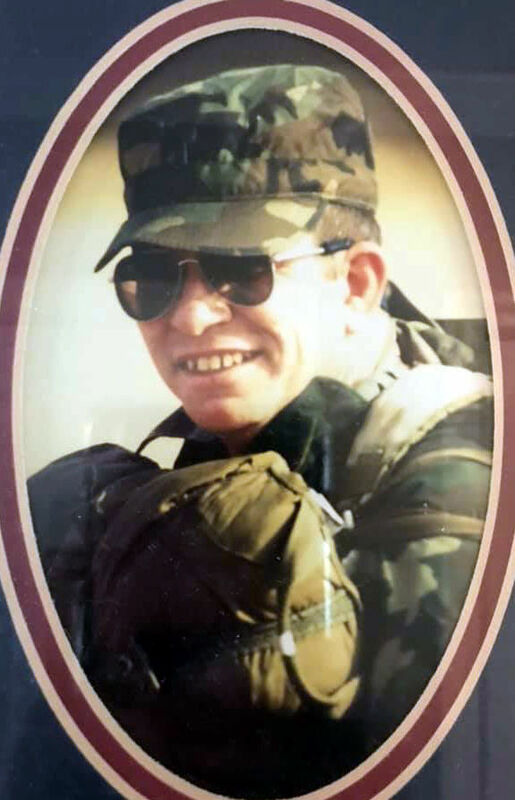 Glen served in and retired from the United States Army after 24 years, during which he served in Vietnam and Desert Storm as well as Special Forces Intelligence Operations. He enjoyed Harley Davidson motorcycles, repurposing furniture and fishing. A man of few words, Glen’s family will remember his kind-hearted nature and dedication to his family. His hardworking hands always ensured the wellbeing and safety of his kids, grandkids and great-grandkids. In addition to his parents, he is preceded in death by his sister, Donna Faye McClure, and brother, Ricky Stewart. Glen is survived by his loving children, Jeffrey Damon (Carla) McClure of Dallas, Texas, Nicole (Wesley Webb) McClure of Soddy Daisy, Sean Avery McClure of Pennsylvania, and Silke McClure of Estill Springs; brother, Danny (Rachel) McClure of Tullahoma; grandchildren, Kim McGriff, Tina (Taylor) Mullins, Chris Grimes, Taylor (Shane Whelchel) McClure, Olivia McClure, Josh McClure, Emily McClure, Timothy McClure, Chelsie McClure, and Josie McClure; and great-grandchildren, Natalie, Wyatt and Avery. Visitation was held from 5-8 p.m. Saturday, April 13, at Moore-Cortner Funeral Home. Funeral services will be at 2 p.m. on Sunday, April 14, in the Moore-Cortner Chapel with Rev. Ross Peterson officiating. Interment will follow at Franklin Memorial Gardens with military honors bestowed. Moore-Cortner Funeral Home is in charge of arrangements. WATSON, Eugenia, 62, died April 5, 2019. Visitation was from 4-6 p.m. Friday, April 12, at J.A. Welton & Son Funeral Home and from 10-11 a.m. Saturday, April 13, at Babb Memorial King Solomon Church in Nashville. Funeral followed at 11 a.m. at Babb Memorial King Solomon Church. Interment Evergreen Cemetery, Tullahoma. J.A. Welton & Son Funeral Home is in charge of arrangements.